Our range of products include wind turbine ventilators, wind turbine ventilator, wind driven turbo ventilators, wind ventilators, wind driven roof ventilator and sv wind driven ventilator. TurboVENTS - India’s first and only proven Wind Turbine Ventilators / Industrial Air ventilator / Roof ventilator / Wind driven ventilator. From the pioneers in wind driven ventilation in India. our wind driven ventilators are proven for unmatched performance for over 25 years. The biggest and best ventilator in its class. Our rotor diameter and height of the ventilator is the highest making it the most efficient ventilator. 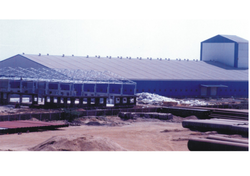 Our strategic locations plays a vital role in achieving optimum performance and long life.TurboVENTS come with one of a kind custom welded conical base making it the best wind driven ventilator available as on date. TurboVents is not only india’s first wind driven ventilator but also the only roof ventilator proven for its unmatched performance for over 25 years. Highest quality, longevity, 100% leakproofness are proven with our wind driven ventilator. The design, construction, expertise in strategically locating the ventilators are of a standard not comparable with another product in the market making ours the best product. TurboVENT - A quality and proven product from the pioneers in wind driven ventilation in India. Our product sizing, construction. 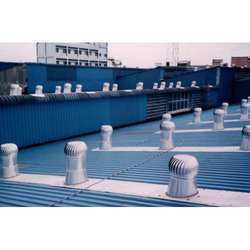 raw material used makes it the best roof ventilator as on date and the only one proven for its performance for over 2 decades. 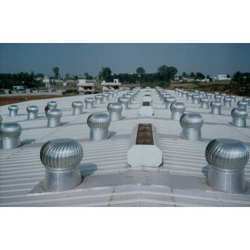 Our sizing options and specification option provide customers a wide range of options at various pricing. Industrial Ventilation requires in depth knowledge of modern computational fluid dynamics, three-dimensional heat flow, steady and transient state conditions, geographical building locations, contaminants inside and outside space, operator locations, equipment locations etc. Every industry is unique in its composition and process parameters; hence the ventilation solution needs to be custom engineered to achieve optimum results. TurboVENTS are the biggest ventilator in its class. Our product is designed and manufactured with strict quality norms starting with material procurement from renowned suppliers to proprietary production techniques to QC procedures to achieve our proven product quality. TurbOVENTS proven for unmatched efficient for 20 years operates with zero costs, enables tax benefits, available in various sizes and materials Noise and maintenance fee and the most important advantage of sunGreen expertise to achieve best results with efficient ventilation for the space. TurboVENTS - India’s first and only proven wind driven ventilator / Industrial Air ventilator / Roof ventilator / Wind Turbine Ventilator. The Wind Driven Turbo Ventilators from the house of SV are a promising addition to the line-up of ventilators from the house of SV. Composed from standard fabrication material, our ventilators are a product of market research and come developed in many variants for the full spectrum application. We are making use of completely leak free technologies and full-fledged thermo mapping for making our Wind Ventilators efficient and apt for their production quality and value. Composed from graded material and high-end aluminum scaffolding, our systems come for utilization in many small-scale industries as well. The Wind Driven Roof Ventilator from the engineering house of Sungreen ventilation system promises and provides for a highly efficient environment friendly ventilation system that comes backed by years of industry experience. Additionally, we promise a good drive and strength on the system for the sake of efficiency and complete client satisfaction. The SV Wind Driven Ventilators from the house of SV are a product of market utility that has marked most of our projects and enterprises in the recent years. Additionally, we call for customization and product support on our wind driven ventilators. Also our post sales support team is active in providing information to our clients. TurboVENTS - India’s first and only proven wind driven ventilator / Industrial Air ventilator / Roof ventilator / Wind driven ventilator. 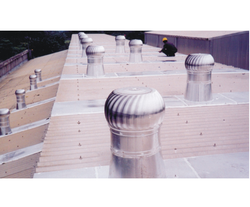 We provide Wind Turbo Ventilators.